INFJ : We think differently, we stare at people, we figure things out. How far can you go to save a loved one’s life? Protagonists do everything they can to save someone. Even if this means getting themselves in harm’s way. After all, where’s the thrill? In a medical thriller such as Miracle Cure, a solid narrative is necessary not only to get readers hooked in the suspense but also to get them interested in how the medical arena works. 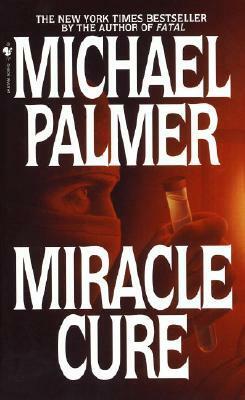 Miracle Cure pretty much delivered a good narrative in general. Sequence of events was well presented, and Vasclear, the miracle drug in question, is a fascinating solution to worldwide-popular heart disease. The story also presented the politics in a medical institution and the grave consequences of greed from people who are on the right position to make crucial hospital decisions but whose motivations lie somewhere else other than a patient’s wellbeing. More than that of suspense and action, Miracle Cure is a story of greed. It’s a story of principle and organization and priorities. In Dr. Phil’s case, priority means keeping his job. Characters were okay, and as I’ve pointed out, a decent narrative. But will I be recommending the book? A fine read yes, but no, I don’t think so. Sigma Force Series Book 1: Sandstorm – Explosive!